I’ve already done the 2017 in review, so now it’s time to look ahead! I actually haven’t made too many specific plans for this year yet, but I do have a couple of ‘unfinished’ projects. These have either been started, or I’ve bought the fabric with a very specific purpose in mind. The first project of the year is already done! An 17th century chemise for underneath my 1660’s dress. This, in a black floral. And this one, in a grey plaid. 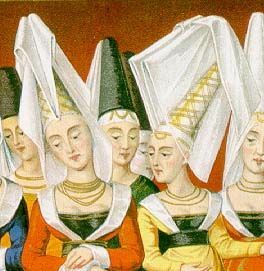 Another thing I’m thinking of is to make the steeple butterfly henin to go with my burgundian dress. That was the original plan, but due to lack of time I first made a smaller, flowerpot style henin. I do love the slight crazyness of the style though, so I’d like to make the taller one as well. Those are the concrete plans! After that, it gets a little more vague, but I do have a number of fabrics I want to use next year. I think I might first go towards the 18th century. I’ve made a bum roll and petticoat for the 17th dress, those would both work for 18th century, and with the stays made I’d only need a shift to complete the undergarments. I also have an 18th century themed event in October, so that’d be a good goal. I just got this silver damask fabric, and I think it’d be perfect for a round gown. 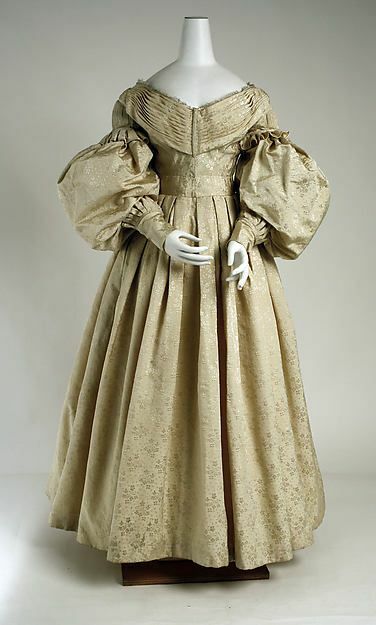 I like the idea of starting the 18th century journey with a round gown, as it’s really one garment and doesn’t require a separate petticoat. Most round gowns are also relatively simple trim-wise (they often don’t have any), so that allows me to really focus on fit and silhouette. 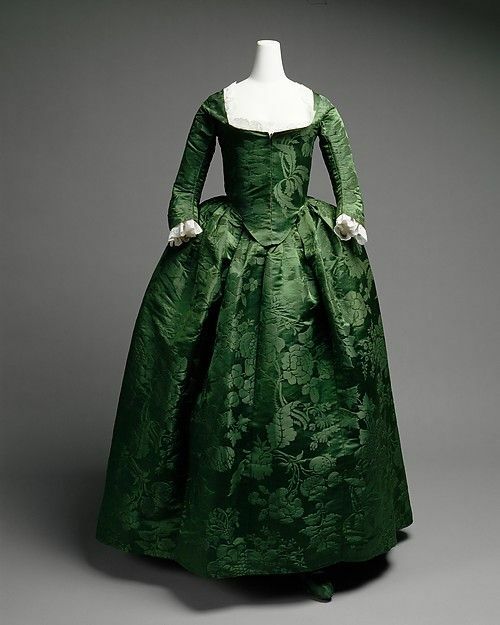 Plus, with the damask fabric many frills aren’t necessary. Something like this dress from the MET? I like the idea of matching my fabric with a black belt. 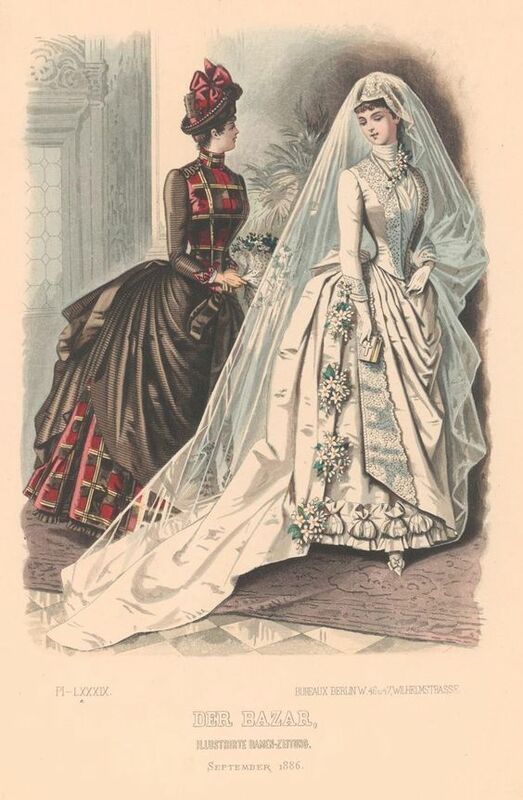 And white lace and fichu? What gets made also depends on events as well. If I have a time-specific event, that’ll probably be what gets made first. I have plenty of fabric and ideas in any case. 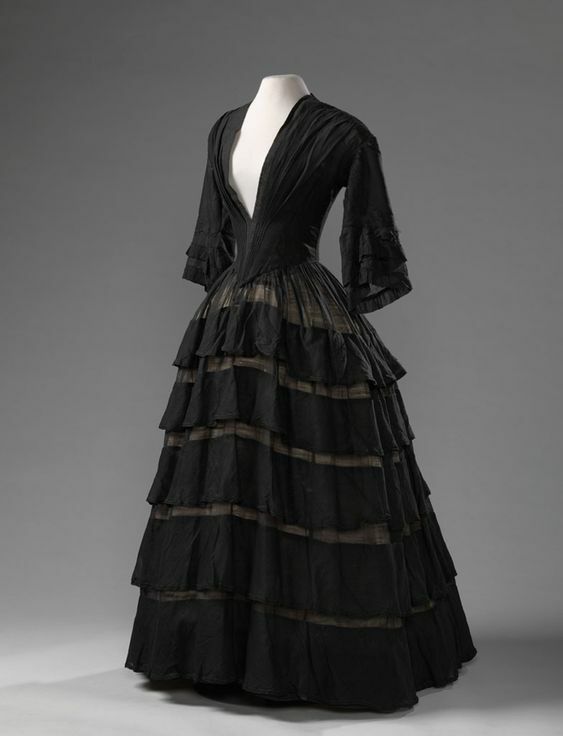 One is a sheer black cotton I was thinking of making an early Victorian dress of. Something like this? I love how the sheerness of the fabric is used in the design. But I also have the materials for several other possibilities. 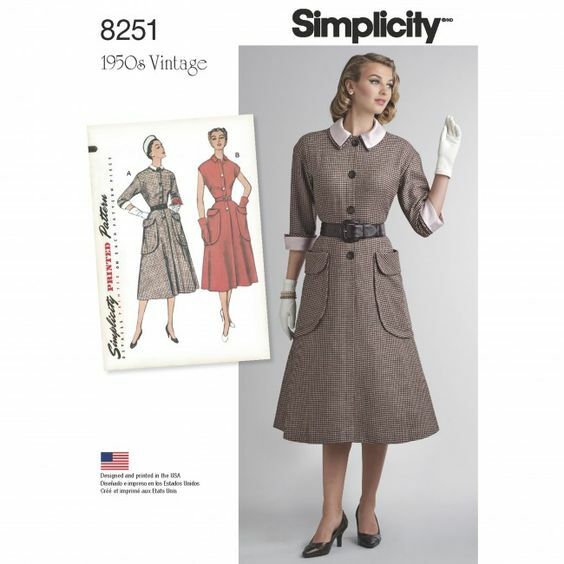 A gorgeous red/black/gold plaid silk, combined with black maybe for this left number? Or a light gold flower patterned silk which was talking about the 1830’s to me. For something like this maybe? It’s fun to dream in any case! I might do another post with plans half way through the year, if stuff is more concrete by then :). 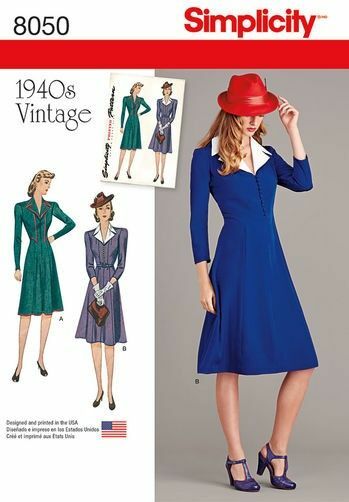 Aside from the dressmaking plans, I also want to visit a few more historical events this year. I’d wanted to in 2017 as well, but things got sold out so some fell through. In the end, I only went to Bath and missed all more local events. This year has started off well though, as the first historical ball is already past! I also have a regency ball in my calendar in May, so either the red/white or the blue/silver dress will finally get a proper outing. And in October there’s a soiree with an 18th century theme, to which I hope to wear something 18th century. The theme for this is not as strict, so other historical stuff is also allowed, but I’d like to make something new. If the silver round gown gets made, I’ll probably wear it there! And who knows, some more events might come up!